William and Mary’s is an exclusive, self-contained, air-conditioned guest house, offering luxuriously appointed boutique accommodation with two bedrooms with ensuite bathrooms and an additional small bedroom/study with fold-out couch. and every modern convenience you could wish for, William and Mary's provides the discerning guest with an experience not to be missed. 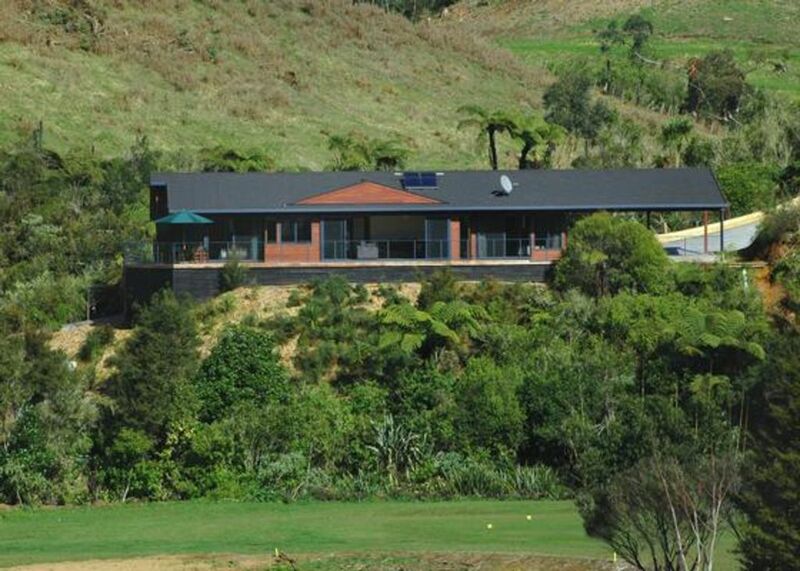 William and Mary's Lodge has a corporate membership to the Bay of Islands Golf Club, Kerikeri, which allows two guests full playing rights and the use of a motorised cart free of charge, (tournaments excepted). The value of this package is up to $150 per 18 hole round. Situated only minutes from Kerikeri, our luxury guest accommodation offers you a convenient hub from which to explore the Bay of Islands and Northland. We are close to shops and many restaurants, yet the accommodation is private and peaceful and gives the feeling of being deep in the countryside. With Puketotara River and Kerikeri Golf Course views, golf, swimming, kayaking and bush walks are amongst the popular pastimes for visitors. As well, there are many other activities and experiences in the Bay of Islands and Northland to suit the tastes of all guests. Heating and cooling via 3 heat pumps. Ample quality crockery and cutlery including pots, pans and baking dishes. Lodge looks over the Magnificent Championship 18 hole Bay of Islands Kerikeri Golf Course. Currently NZ$65 green fees and free use of an electric cart. We stayed 8 days at the house in Kerikeri in February. Mary and Bill were excellent hosts. Lots of nice and thoughtful touches. Very comfortable. Highly recommend. Fabulous stay, a fantastic round of golf, the accommodation has everything you need. You won't be disappointed. We would give it more than 5 stars if we could and will be waxing lyrical about Mary's property for years to come. It was an absolute delight to stay here with our friend from Auckland. The house is simply beautiful and the views just stunning. Nothing was too much trouble for Mary and there were lots and lots of beautiful little touches in the house - fresh fruit, flowers from the garden, breakfast and nibbles. No-one could fail to fall in love with this place and we would recommend to all! Lovely location, very warm (it was winter! Very quiet secluded accommodation but only 1.5km from many shops and restaurants. Access to river for swimming & kayaking on our property. Close to a waterfall, bushwalks, and a short drive to kauri forest trees. Huge live theatre for many events, 3 cinemas, many art galleries and studios for artisan workers. NZ famous Makana Chocolate Factory, and Mahoe Cheese Factory. 20 minute drive to the sea and tourist opportunities to go boating in the Bay of Islands - sailing, fishing, dolphin watching, and picnicking.